For most consumers, a standard high-speed router is all we really need. However, in our current political climate, it never hurts to think about one’s privacy and security, which is where having an integrated VPN and more control over your flow of data becomes more important. Though there are plenty of solutions available, WRT, an open source platform for specific routers, gives even greater control than typical third-party apps. Linksys created the standard more than a decade ago, and they’re back with a new future-proof router that supports it: the WRT 3200ACM. Having polished out some of the software bumps that were reported around its launch (par for the course for WRT firmware), we tested Linksys’ latest offering in a standard environment supporting a smart home (at least 5 connected devices). Like all current-generation Linksys routers, the WRT3200ACM has a simplified setup process. In fact, it’s no more difficult than either going to their Smartwifi setup wizard or going with the good ole fashion default IP address for it (http://192.168.1.1/). From there, you can customize the process, setting up the full features that MU-MIMO has to offer, or adding in the open source software with a firmware upgrade. 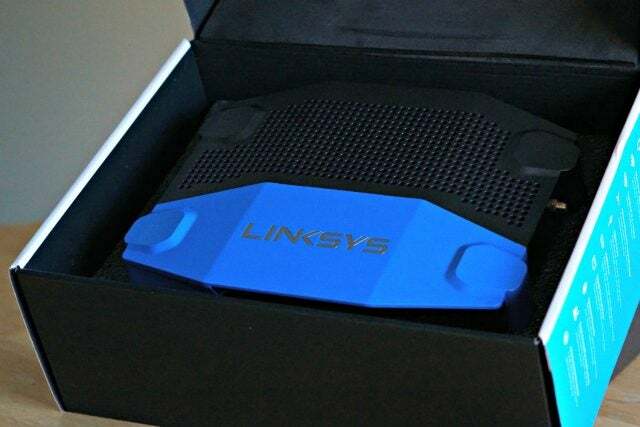 Linksys’ latest offering combines the latest technology with the option to add open-source tech to the router. For advanced users, WRT offers a slew of add-ons that typically require software or settings on individual devices rather than directly at the source. The WRT 3200ACM also features MU-MIMO, which means the amount of bandwidth going to each device can be adjusted based on priority and usage. Besides the bells and whistles, obviously one of the more important features is how much speed the device can handle. To test the performance of the WRT 3200ACM, we put it up against the Linksys EA8500 that we previously reviewed while using a standard 100 Mbps capped system. Obviously each of those routers are designed with gigabit internet in mind, but most homes still do not use this, so it seemed like a more fitting approach, for now. Each router had five devices connected to it at the time of the test, but in standby mode. The test platforms used were fast.com (netflix), Speedtest.net, and the speedtest.net mobile app. Post-test, the WRT 3200ACM was more or less on par with the output of the Linksys EA8500 that we reviewed last year. This is to be expected as the technology is not vastly different, and until there are devices that can support the new tri-stream technology, consumers really won’t be able to get all the juice out of the new offering. 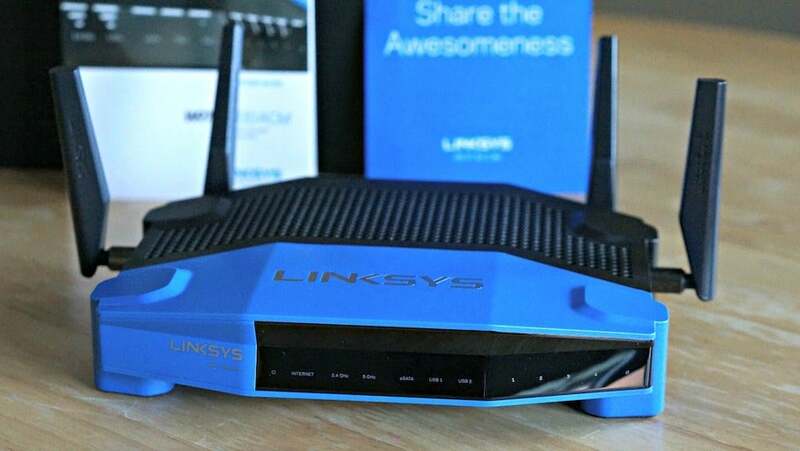 The Linksys blue and black is back (with two extra antennas)! Let’s be honest, routers are not the prettiest things on the planet, and the ones we place in our homes are typically hidden out of site. As technology expands, so apparently do the number of antennas. Unlike the more spider-like routers hitting the market, the WRT 3200ACM features four antennas that are easily removed or adjusted based on where the device is placed. Should you buy the Linksys WRT 3200 ACM? If you want the latest technology, sure. However, there are a few caveats to be aware of, with the most prominent being that a majority of consumer tech simply doesn’t support the the Tri-Stream 160 technology. Once tri-stream becomes more widely adopted, the router will in turn double the speed of the router and certainly make the 3200 ACM a forerunner. Until then, Linksys created another high-quality, open-sourced, MU-MIMO supported router with blazing fast results.